The following story is being reprinted with permission of the Mille Lacs Messenger. 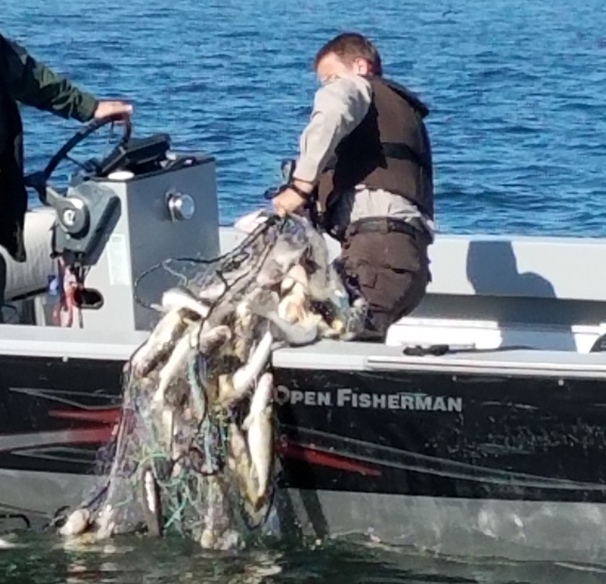 It has been nearly a year since an abandoned tribal gill net was found in Mille Lacs Lake and officials have now announced the investigation is closed. The gill net was found last May containing 67 dead walleye. Fond du Lac tribal officials conducted a lengthy netting investigation. Officials have now said two people have appeared in tribal court and were penalized. Names of the guilty parties have not been released, nor has word of how they were penalized. Charlie Rassmusen of the Great Lakes Indian Fish and Wildlife Commission confirmed that the Fond du Lac Conservation Enforcement Department conducted the investigation. By PERM|2019-04-09T13:05:19-05:00April 5th, 2019|Categories: Updates|Comments Off on Transparency? PERM is a 501(c)(3) charitable organization.